In late May of 2013, Edward Snowden stole thousands of classified government intelligence documents and provided them to a trio of Journalists. Though an act of treason by definition, these documents revealed our intelligence agencies to be illegally collecting private data on virtually all US citizens. Oliver Stone’s latest film explores what drove a 29 year old man to make a choice that essentially ended life as he knew it and whether his actions made him a patriot or traitor. The movie focus on nearly a decade of Snowden’s life from his entry into the security sector in 2004 to his defection in 2013. More than just a collection of news bites and government acronyms, the film is anchored by his relationship with long time girlfriend Lindsay Mills. (Shailene Woodley) It’s a wise choice as it brings a level of humanity to the man who has repeated been portrayed in the media as a black or white villain/hero. The magnitude of the choice he made takes on far greater weight when we consider all of the personal costs to him. Snowden isn’t an overly social person, but he was far from an orphan loner. Oliver Stone has crafted a number of exceptional films throughout his career, a few of which are truly iconic. But he seems to be a little out of touch, or at the very least, losing his edge. 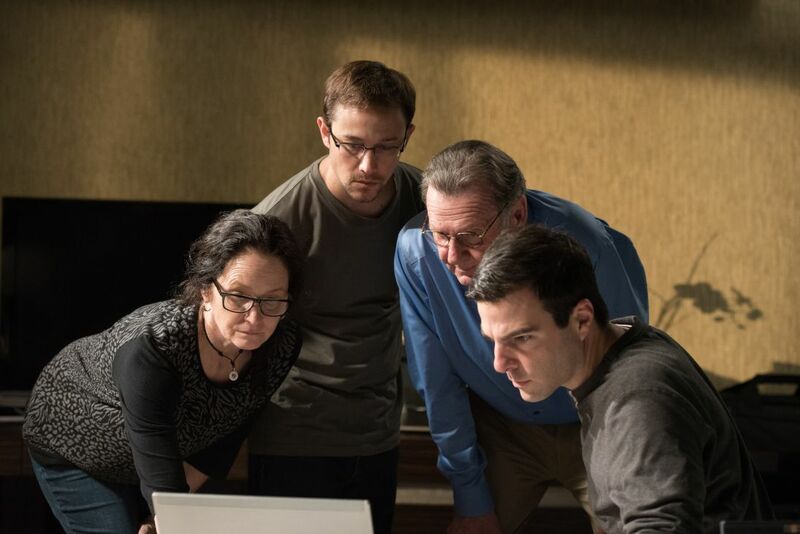 “Snowden” has a great cast, good performances, a generally good script, but it’s not a great film. He seems to be incapable of cutting a film to under two hours, in fact a high percentage of his movies dance around the three hour mark! Clocking in at 2 ¼ hours, “Snowden” dampens its energy with an occasionally slower than necessary pace. There’s plenty more story and details to tell, so why gloss over various aspects only to drag the movie out? Stone also resorts to some rather heavy handed creative choices in the third act that are obviously meant to be symbolic, but feel oddly amateurish. A webcam conversation between O’brian and Snowden has O’brian’s head menacingly filling a 10 foot tall screen. Unfortunately the effect is more comedic than inspired. Another small scene features a consumer drone hovering over a birthday party. Symbolic? Ironic? Yes, but surely not in the way Stone intended. The drone spontaneously drops from the sky hitting a table and startling the party goers. For a film about technology, truth, Government free mongering it’s sad to see a scene like this. ( Every hobbyist drone pilot will surely cringe, especially given the popular make and model used. ) This and a few other small asides create a nagging feeling that Stone himself doesn’t understand all of the tech he is trying to inform audience of. 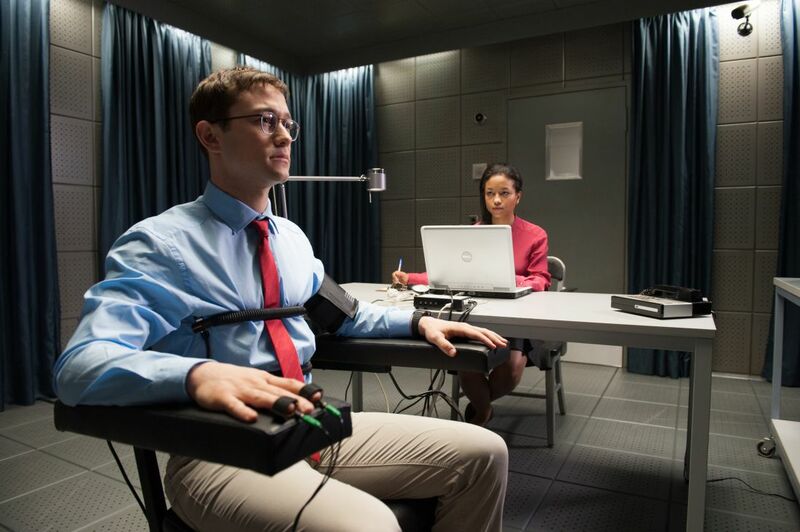 Also startling is Stone’s decision to suddenly switch to the REAL Snowden in the final minutes of the movie as the camera pans behind a monitor. It’s a jarring revelation that completely derails our investment in Gordon-Levitt’s portrayal. This is not a documentary, it’s a fictionalized narrative of true events. Couldn’t the real footage be saved for the credits as is customary in this style of film? 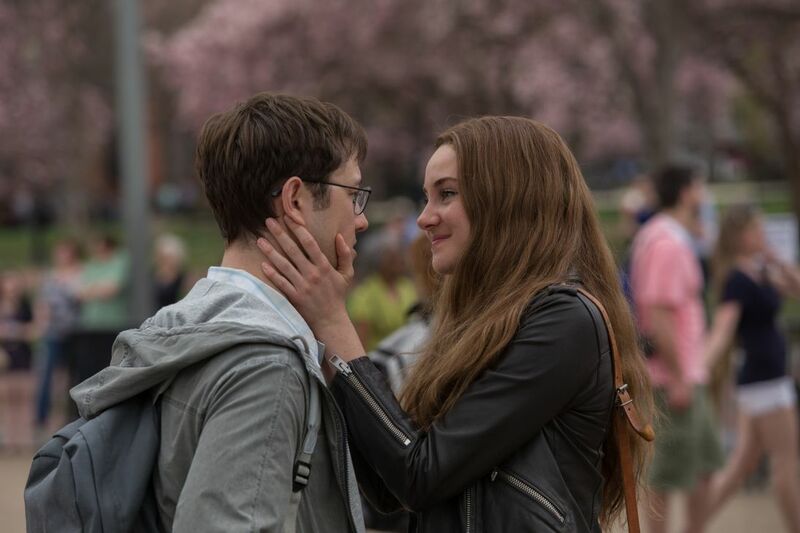 “Snowden” has plenty of merit and entertainment value, but too many odd choices weaken the overall experience. Even if everything else was perfect, the Peter Gabriel song commissioned for the film that plays over the credits is so atrociously bad it’s enough to drop the review score by an entire star.